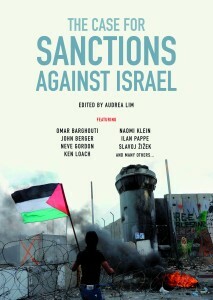 To mark Nakba Day, we publish two exclusive extracts from "The Case For Sanctions Against Israel," a landmark collection featuring a stellar cast of contributors. In the first of these, Hind Awwad, coordinator with the Palestinian BDS National Committee, provides an overview of the remarkable achievements of the BDS movement in its first six years. As the world watched the Arab Spring, many Palestinians saw traces of Palestine’s revolution, particularly of the first Intifada—the popular uprising of 1987—and in the beautiful spirit of the young revolutionaries. The fall of the regimes in Tunisia and Egypt was celebrated in Palestinian households not only because it promised a return of Arab resistance, a constant dimension of the Palestinian cause but hijacked by the dictatorships for so many years, but also because it was a reminder that Palestine continues to bring people together: those struggling in many places around the world against injustice of all kinds. As we continue to watch the revolutions unfold—from Wall Street to Madrid, from London to Seattle—we can see Palestine in every Tahrir Square. The Egyptian spring is partly a result of the previous regime’s heavy complicity in maintaining Israeli occupation and colonization; the Egyptian student mobilizations in solidarity with Palestine during the second Intifada, in 2000, were important precursors to January 2011. The injustice result-ing from Israel’s occupation, colonization, and enforcement of apartheid is heavily linked with corporate greed, environmental degradation, education cuts, and privatization of healthcare that are today being protested in North America and Europe. The channeling each year of billions in US tax dollars away from education, healthcare reform, and social services at home, to support Israel’s military machine, has linked the struggle for Palestinian rights with the causes of equality and social justice in the US and elsewhere. The BDS movement has provided a way for us to break our collective chains. In 2005, one year after the International Court of Justice had ruled that Israel’s wall, built on occupied Palestinian territory, was illegal—and inspired by the South African anti-apartheid struggle—a majority of Palestinian civil society called upon people of conscience all over the world to impose broad BDS initiatives against Israel. The comprehensive rights-based approach of the call for BDS is perhaps its most important attribute. This is exemplified by the three demands that it makes: for an end to the occupation and return to the pre-1967 boundaries; for recognition of the fundamental human rights of Palestinian citizens; and for the right of Palestinian refugees to return. These demands address the injustice done to all Palestinian people, and do not reduce Israel’s oppression to occupation. Twenty years of the sham “peace process” have given the false impression—often dominant even today—that the Palestinian people are only those in the Occupied Palestinian Territories (OPT), and that Israel’s occupation is its only form of oppression of Palestinians. This has marginalized the majority of the Palestinian people—those inside Israel and in the diaspora—and their rights; and it has allowed Israel to get away, unquestioned, with its more severe and legally problematic forms of oppression. The BDS movement has worked on changing the discourse addressing Palestinian rights to include the rights of all Palestinians. The movement has called for an end to Israel’s multi-tiered system of oppression, comprising occupation, colonization, and apartheid—the latter including systematic legal discrimination against Palestinians in Israel, and a sixty-three-year-old denial of Palestinian refugees’ right of return. Setting the record straight on Palestinian rights—and reinserting both Palestinian citizens of Israel and, crucially, Palestinian refugees, at the center of the debate—could not have been achieved without a strong Palestinian leadership. The Palestinian BDS National Committee (BNC), established in April 2008, has emerged as the principal anchor of and reference for the global BDS movement. The BNC, the broadest Palestinian civil society coalition, is made up of the largest coalitions, networks, and unions of Palestinian citizens of Israel and refugees, as well as of those living in the West Bank and Gaza. The BNC has consistently provided a strong and unified Palestinian voice, and continues to lead and guide the global BDS movement, while fully respecting the principle of context sensitivity—the idea that the call for BDS should be implemented in each community in a way that suits the particular circumstances in the local environment, as decided by local activists. Over the past six years, BDS has provided the most effective vehicle of solidarity with the Palestinian people and a successful way of challenging Israeli impunity. The victories the BDS campaign has achieved have exceeded all expectations for such a young movement, even when compared with South Africa’s BDS campaign. In particular, the campaign has grown rapidly in the wake of the 2008–09 Israeli massacre in Gaza and the attack on the Freedom Flotilla. The movement has now expanded far beyond the confines of a traditional solidarity movement to include active and dedicated participation from trade unions, faith groups, mainstream NGOs, and political parties. A quick review of some of the largest and most successful campaigns reveals this growth. One of the most successful BDS campaigns is that against Veolia, a French multinational involved in developing the Jerusalem Light Rail (JLR), an illegal tramway linking Jerusalem with illegal Israeli settlements, and cementing Israel’s hold on occupied territory, in addition to Israel’s involvement in a variety of waste and transport infrastructure services for illegal settlements. The French multinational has been successfully targeted all over the world, but especially in Europe. In Stockholm, a civil society campaign led to Veolia losing out on a €3.5 billion contract for the operation of the city’s metro system. The determined and internationally coordinated campaign against Veolia has led to its loss of contracts totalling more than €5 billion in France, England, Wales, Ireland, and Australia combined. In late 2010, Veolia and Alstom, another French multinational involved in the JLR, announced that they would sell their shares in the operating consortium. The fact that both Veolia and Alstom are being replaced by Israeli companies with little experience, rather than by well-known international companies that would be more qualified to take their place, can only be seen as a success for the campaign: no international companies are willing to become targets of our highly effective and visible movement. Kairos Palestine unambiguously endorses BDS as one of the key nonviolent forms of solidarity that international faith-based organizations are urged to adopt: “We see boycott and disinvestment as tools of justice, peace and security.” Trade unions have historically been at the forefront of struggles against injustice, particularly that against South African apartheid. Trade unions in South Africa, France, Belgium, Ireland, Sweden, Italy, Australia, Canada, Brazil, India, Norway, and elsewhere have recently adopted aspects of the BDS campaign. In the UK, the Trades Union Congress, representing seven million workers, is about to embark on activities to educate its entire membership about the necessity of boycotting Israeli apartheid. The trade union congresses of South Africa, Ireland, Scotland, and Brazil, and many individual unions around the world are in the process of severing links with the racist Histadrut labor federation. Just days after Israel’s attack on the Freedom Flotilla in May 2010, the Swedish Dockworkers Union, heeding the Palestinian trade union movement’s call to block Israeli ships, blocked five hundred tons of cargo coming from Israel. They were joined by the heroic action on the part of ILWU Local 10’s dockworkers in Oakland, California, who blocked an Israeli ship from docking for twenty-four hours, and by dockworkers in South Africa, India, Turkey, and beyond. The CUT—the largest and most important trade union in Brazil, representing over 20 million workers, has recently endorsed BDS as the basis for its solidarity activism, and is working on a program to spread BDS among its membership. Labor-led sanctions within the BDS framework have become the leading form of solidarity with the Palestinian people within the international trade union network. The academic boycott—arguably the most challenging of all forms of boycott—has widely spread the debate on the entrenched complicity of Israeli academic institutions in planning, justifying, and perpetuating the state’s colonial and apartheid policies, including its war crimes in Gaza, Jerusalem, and beyond. The May 2010 Congress of the British University and College Union (UCU) made history by voting to boycott the Ariel University Center of Samaria (AUCS), an Israeli colony-college in occupied Palestinian territory, and to sever all relations with Histadrut, the racist Israeli labor body that is a key pillar of the Israeli state’s apartheid policies. University workers in the Canadian Union of Public Employees passed a motion calling for an academic boycott of Israel in February 2009. Academics also vowed to pressure their institutions to sever financial relationships with Israel. Recently, the University of Johannesburg made history by severing links with the University of Ben-Gurion, becoming the first university in the world to sever links with an Israeli academic institution. Students in the US, the UK, and elsewhere have organized campaigns for the boycott of Israeli products, and for divestment from companies profiting from Israel’s occupation. In the wake of Israel’s attack on Gaza in January 2009, students in thirty-three college campuses in the UK “occupied” parts of their campus demanding, among other things, divestment from Israeli companies and companies profiting from the occupation. In February 2009, Hampshire College in the US became the first to divest from companies complicit in Israel’s occupation, just as it had been the first in the US to divest from apartheid South Africa. In 2010, students at UC Berkeley worked on a well-organized and publicized divestment campaign, winning support from Archbishop Desmond Tutu, Naomi Klein, Judith Butler, Hedy Epstein, and other notable figures. Jewish Voice for Peace has organized a campaign calling on pension giant TIAA-CREF to divest from five companies supporting the occupation. Their campaign has been endorsed by a number of organizations and student groups across the US. Creative consumer boycott campaigns have provided an excellent way to engage wider sectors of the general public in the BDS movement. Code Pink’s “Stolen Beauty” campaign targeting Ahava, an Israeli cosmetics company manufacturing its products in a settlement, has been successful in convincing a number of retailers to drop Ahava in the US, Canada, and the UK. The campaign has spread to Canada, Australia, and parts of Europe as a result of its creative protests and use of social media. In France, a large coalition of more than a hundred NGOs and five political parties has organized a campaign for the boycott of Agrexco, Israel’s largest exporter of agricultural produce. Agrexco has been targeted with popular boycotts, blockades, demonstrations, and direct action throughout Europe. In Italy and the UK, campaigners took direct action pressuring supermarkets to drop the Agrexco brand. In September 2011, Agrexco was ordered into liquidation. As with South Africa, sanctions by governments and official bodies have been implemented only after boycott and divestment have become wide-spread at the grassroots level. In the six short years of the Palestinian BDS campaign, we have witnessed a number of government actions in the form of sanctions. To name a few, an Israeli academic team from Ariel College was excluded from a prestigious competition on sustainable architecture organized by the Spanish Government in 2009, because the college is located in a settlement in the West Bank. The Norwegian government’s pension fund, the third-largest in the world, divested from Elbit Systems in 2009 at the recommendation of the ethical council, due to the company’s involvement in supplying Israel’s illegal wall with security appliances, and the Israeli army with drones. A year later, the Norwegian government’s pension fund divested from two other Israeli companies as a result of their activities in the settlements. Deutsche Bahn, a government-owned German railway operator, has ceased its involvement with the Israeli A1 rail project, which cuts through the occupied West Bank. Perhaps the most visible form of BDS action is in the realm of cultural boycotts. Far from being “above politics,” Israeli cultural institutions play a key role in the “Brand Israel” campaign of the Israeli foreign ministry, boosting the state’s image and whitewashing its colonial policies and war crimes. A growing number of cultural superstars have joined the cultural boycott of Israel and are refusing to provide cultural cover for Israeli apartheid. Artists that have cancelled concerts and events in Israel include, among others, the late Gil Scott-Heron, Elvis Costello, the Pixies, Mike Leigh, Klaxons, and Gorillaz Sound System. Most significantly, Hollywood superstars Meg Ryan and Dustin Hoffman cancelled their attendance at the 2010 Jerusalem Film Festival following the attack on the Freedom Flotilla. In addition, cultural figures such as John Berger, Roger Waters, Ken Loach, Judith Butler, Naomi Klein, the Yes Men, Sarah Schulman, Aharon Shabtai, Udi Aloni, John Greyson, the late Adrienne Rich, and John Williams have explicitly supported the Palestinian cultural boycott of Israel. 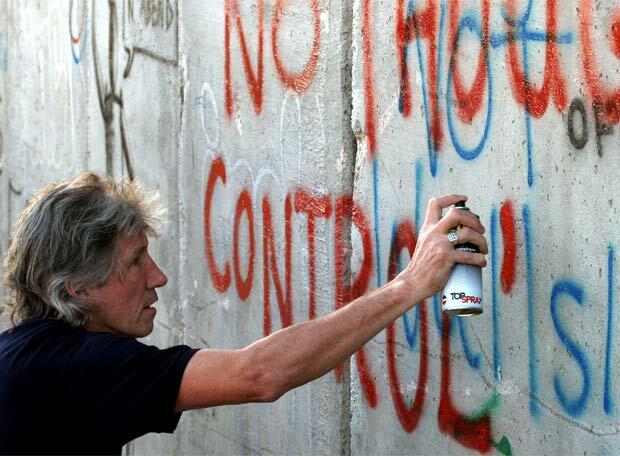 A number of cultural figures have also refused to participate in Israel’s official cultural events for political reasons, including Augusto Boal, Roger Waters, André Brink, Vincenzo Consolo, and Nigel Kennedy; and cultural figures such as Bono, Björk, Jean-Luc Godard, Snoop Dogg, and others have declined offers to take part in events in Israel—or have agreed but then cancelled without giving explicit political reasons. Another measure of success for the global BDS movement can be gauged from Israeli reactions to the BDS campaign. In July 2011, the Israeli Knesset passed a law that essentially criminalizes boycotts of Israel, as well as individuals and organizations calling for them. The Reut Institute, a prominent Israeli think tank, has categorized the BDS campaign as a “strategic threat” that could turn into an existential threat. Furthermore, key Israeli politicians have issued alarmist statements about the growth of the BDS movement and the isolation of Israel. Since its initiation, the BDS movement has expanded and achieved effectiveness far beyond what was originally imagined to be possible in just over six years. The call of the movement is increasingly being answered by mainstream and powerful actors. Cultural superstars, global financial institutions, major trade unions, faith groups, political parties, governments, and individuals of conscience of every kind—all are beginning to take action. Our global movement has in fact begun to isolate Israel. This article is an original extract from The Case for Sanctions Against Israel, published by Verso on 15th May 2012, in which a cast of international voices argue for boycott, divestment and sanctions. The book features contributions from: John Berger, Slavoj Žižek, Angela Davis, Mustafa Barghouti, Ken Loach, Neve Gordon, Naomi Klein, Omar Barghouti, Ilan Pappe and many more. Hind Awwad is a coordinator with the Palestinian BDS National committee.